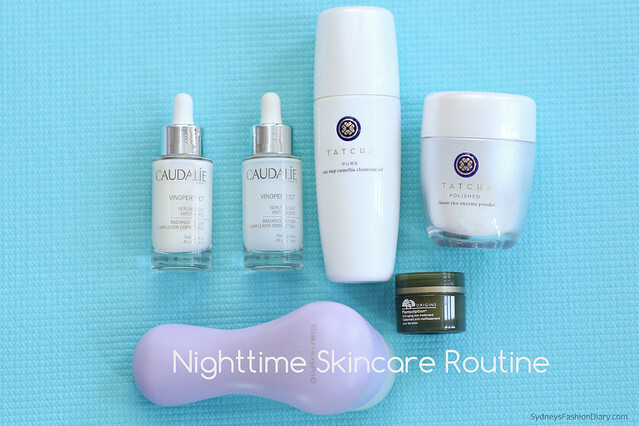 It's been awhile since I talked about my skincare routine so I though I'd do an updated post. For the most part, my regimen is still pretty simple. I added a few new products and have been loving them. Just for reference, I have combination skin (oily in the T-zone). 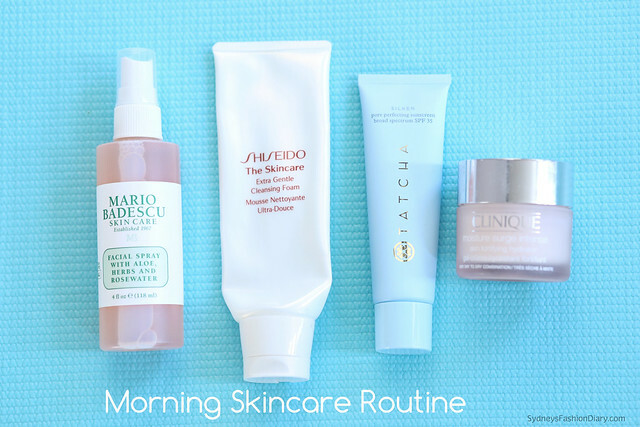 - Step 1: The first thing I do is cleansing my face with Shiseido extra gentle cleansing foam. I believe this particular product is discontinued (other versions available here). I bought 3 backups a few months ago and am using the last one. I apply on wet face and rinse with warm water. Since I don't have any makeup on in the morning, my face is squeaky clean after cleansing. - Step 2: I spray my face with Mario Badescu facial spray. I use this spray in lieu of a toner because I don't have time to fuss with cotton pads. The facial spray is refreshing and helps me wake up in the morning. It does have a strong rose scent but does not linger too long. I wait a few minutes before applying moisturizer. - Step 3: For moisturizer, I use Clique moisture surge intense. This is a heavy moisturizer so a little bit goes a long way. - Step 4: The last step is applying sunscreen. I use SPF every day all year round and am currently loving the Tatcha pore perfecting sunscreen SPF 35. The scent is amazing and does not have that traditional sunblock smell. It blends easily and does not leave me feeling greasy. The best part? It doubles as a makeup primer! - Step 1: Since I am usually wearing makeup during the day, I cleanse twice (once right after I get home from work and once before I go to bed). I use Tatcha cleansing oil first. I am seriously in love with this cleanser. It melts away all my makeup (including my waterproof mascara), leaves my skin feeling clean but not tight. - Step 2: Right before bed time I use Tatcha polished classic rice powder to cleanse my face one more time to get rid of any residue. This powder also gently exfoliates, leaving my skin so smooth and soft. - Step 3: After cleansing, it's time to apply serum. I've been using Caudalie Vinoperfect serum for years. I am on my 5th bottle and still loving it. - Step 4: The last step is applying my eye cream. I use Origins anti-aging eye treatment. It is soothing and leaves my under eye area deeply moisturized. I haven't used it long enough to notice any anti-aging benefits. Great post! I love Tatcha products, I've used their sunscreen, cleansing oil and powder, I am impressed! 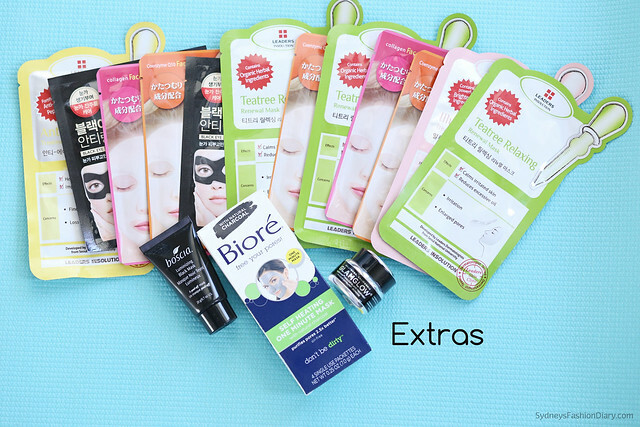 They are my skincare essentials too. Thanks for sharing Sydney! Happy Wednesday!